Run a FINRA check on your broker or brokerage firm by clicking here. You can view FINRA Regional Office Locations or click on a state below to view the resources specific to that state. Investor’s Guide to Securities Industry Disputes – How to Prevent and Resolve Disputes with Your Broker. Better Business Bureau (BBB) — For over a century, the BBB system has demonstrated how the majority of marketplace problems can be solved fairly through the use of voluntary self-regulation and consumer education. Federal Trade Commission — The FTC works for the consumer to prevent fraudulent, deceptive, and unfair business practices in the marketplace and to provide information to help consumers spot, stop, and avoid them. Financial Industry Regulatory Authority (FINRA) — FINRA is an independent, not-for-profit organization authorized by Congress to ensure the securities industry operates fairly and honestly. 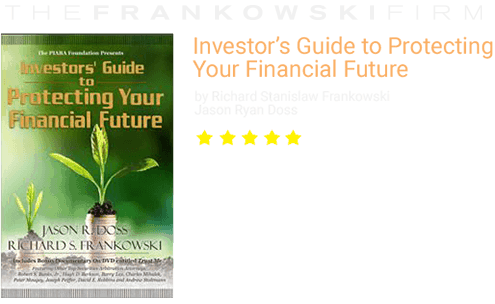 Investopedia — Your complete, unbiased, and easy-to-understand educational guide to investing and personal finance. National Association of Securities Dealers (NASD) — NASD was a self-regulatory organization responsible for the operation and regulation of the NASDAQ stock market and over-the-counter markets. In 2007, NASD merged with the New York Stock Exchange’s regulation committee to form FINRA. North American Securities Administrators Association (NASAA) — NASAA is an international organization devoted to investor protection in the United States and its territories, Canada, and Mexico. Private Securities Litigation Reform Act of 1995 — The PSLRA imposes rules on securities class action lawsuits. Securities and Exchange Commission (SEC) — The SEC is a governmental office that regulates the activities of companies and brokers in the US. Stanford Law School Securities Class Action Clearinghouse — A searchable filings database of class action lawsuits filed since the Private Securities Litigation Reform Act of 1995 was passed. Alabama Securities Commission The ASC protects investors from securities fraud and preserves legitimate capital markets in Alabama. Alabama Securities Statutes – Information about the Alabama Securities Act, the Sale of Checks Act, Rules of the Alabama Securities Commission, and ASC policy statements. Alabama Filing Requirements – Links for more information on registrations, exemptions, and uniform registration forms for the NASAA, FINRA, and SEC. Alabama Consumer Protection Section The Consumer Protection Section of the Alabama Attorney General’s Office investigates consumer complaints and mediates disputes between consumers and businesses. Certain businesses soliciting in or from Alabama are also required register with the Attorney General’s office. Alaska Division of Banking and Securities – The DBS administers and enforces the Alaska Securities Act including registering securities; licensing, registering, and examining investment advisors and broker dealers; investigating complaints and reports of fraud; providing education and outreach; and assistance with the Alaska Native Claims Settlement Act (ANCSA). How to File a Claim in Alaska – Information to file complaints through the DBS in Alaska. Alaska Consumer Protection Unit The Consumer Protection Unit of the Alaska Attorney General’s Office investigates unfair or deceptive business practices, informally mediates consumer complaints, enforces antitrust laws, and educates consumers. Certain businesses soliciting in or from Alaska are also required register with the Attorney General’s office. Arizona Securities Division The Securities Division of the Arizona Corporation Commission preserves the integrity of the financial marketplace in Arizona. 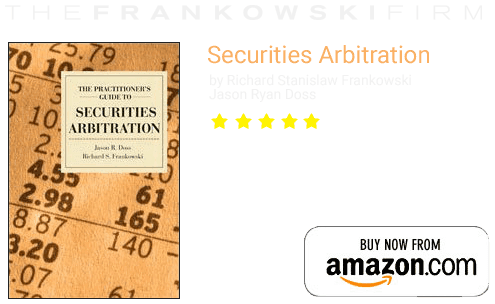 Arizona Securities Statutes Information about the Arizona Securities Act. Arizona Filing Requirements Links for more information on filing complaints in Arizona. Arizona Consumer Protection Section The Consumer Protection Section of the Arizona Attorney General’s Office advocates for and educates the public on consumer protection issues. Arkansas Securities Department – The ASD protects investors from securities fraud and preserves legitimate capital markets in Arkansas. California Department of Business Oversight The DBO provides protection to consumers engaged in financial transactions and regulates financial services, products, and professionals in California. California Filing Requirements Links for more information on filing complaints in California. California Consumer Protection Resources for dealing with a variety of consumer complaints in California. Colorado Division of Securities – The Division of Securities regulates brokers, advisors, stocks, and bonds in Colorado. Colorado Consumer Protection Section – The Consumer Protection Section of the Colorado Attorney General’s Office investigates consumer complaints and protects consumers against fraud. Certain businesses soliciting in or from Colorado are also required register with the Attorney General’s office. Connecticut Securities and Business Investments Division The SBID registers securities and business offerings; licenses broker-dealers, agents, and advisers and their offices; and enforces investment laws. Connecticut Securities Statutes Information about the Connecticut Uniform Securities Act. Connecticut Department of Consumer Protection The Department of Consumer Protection services general consumer complaints. Investors in need of information about securities claims should contact the Securities and Business Investments Division of the Connecticut Department of Banking. Delaware Investor Protection Unit – The IPU protects investors from Delaware securities fraud and regulates financial professionals. District of Columbia Department of Insurance, Securities, and Banking The DSIB protects consumers from unfair practices, promotes economic development, and regulates financial institutions and activities in the District of Columbia. District of Columbia Filing Requirements Information on the types of claims the DISB handles, plus links to claim forms. District of Columbia Consumer Protection The DSIB investigates consumer complaints and reports of fraud in the District of Columbia. Florida Division of Securities The FDS regulates the sale of securities in, to, or from offices and individuals in Florida. Florida Consumer Protection Division – The Consumer Protection Division of the Florida Attorney General’s Office enforces the Florida Deceptive and Unfair Trade Practices Act, protecting consumers and businesses from illegal conduct. Georgia Securities Division The Securities Division of the Georgia Secretary of State’s Office implements and enforces the Uniform Securities Act, protecting consumers by investigating complaints and registering agencies and brokers. Georgia Governor’s Office of Consumer Protection – The Governor’s Office of Consumer Protection investigates consumer complaints provides the public with information and education on fraud protection and maintains a list of reported scams. Hawaii Department of Commerce and Consumer Affairs – The Securities Enforcement Branch of the DCCA protects consumers by processing and investigating complaints regarding securities violations. Hawaii Consumer Protection – The Department of Commerce and Consumer Affairs handles consumer protection for residents of Hawaii. Idaho Department of Finance – The Securities Bureau of the Idaho Department of Finance regulates individuals and entities that offer investment opportunities to the public. Idaho Securities Statutes – Links to the statutes applying to securities laws in Idaho, including the Uniform Securities Act of 2004, Commodity Code, Control Share Acquisition Act, and the Business Combination Act. Idaho Consumer Protection – The Securities Bureau of the Department of Finance handles consumer protection complaints in Idaho. Illinois Securities Department The Securities Department of the Illinois Secretary of State’s Office is responsible for the regulation of the securities industry and protection of investors. Illinois Filing Requirements The Securities Department’s Enforcement Division receives and investigates consumer complaints and inquiries..
Illinois Consumer Protection Division of the Illinois Attorney General’s Office protects consumers and businesses victimized by fraud, deception, and unfair business practices. The Division also advocates on behalf of citizens in hearings, reporting, and legislation. Indiana Securities Division The Securities Division of the Indiana Secretary of State’s Office regulates the securities industry in Indiana, including protecting consumers by bringing action against companies and individuals violating the Uniform Securities Act. Indiana Consumer Protection Division The Consumer Protection Division of the Indiana Attorney General’s Office investigates consumer complaints and mediates disputes between consumers and businesses. Iowa Securities & Regulated Industries Bureau The Securities & Regulated Industries Bureau of the Iowa Insurance Division protects investors through the administration and enforcement of the Uniform Securities Act. Iowa Consumer Protection Section The Consumer Protection Section of the Iowa Attorney General’s Office protects consumers from fraud and ensure fair competition in the marketplace. Kansas Office of the Securities Commissioner The OSC protects investors from securities fraud, promotes integrity and fairness in financial services, and fosters capital formation in Kansas. Kansas Consumer Protection Division – The Consumer Protection Section of the Kansas Attorney General’s Office investigates scams and consumer complaints, mediates disputes, and prosecutes violations of various consumer protection acts in Kansas. Kentucky Securities Division The Securities Division of the Kentucky Department of Financial Institutions protects consumers and investigates complaints and suspicious activity in Kentucky. Minnesota Securities Unit – The Securities Unit of the Minnesota Department of Commerce protects consumers and investors while working towards a responsible expansion the state’s economy. Minnesota Consumer Assistance – The Minnesota Attorney General’s Office investigates consumer complaints and mediates disputes between consumers and businesses. Mississippi Securities and Charities Division – The Securities and Charities Division of the Mississippi Secretary of State’s office protects investors and donors from unscrupulous organizations. Mississippi Securities Statutes – Links to both the new and former securities laws for Mississippi. Montana Securities and Insurance Commissioner – The Montana Commissioner of Securities and Insurance protects consumers through insurance and securities regulation. Nebraska Department of Banking & Finance The Nebraska Department of Banking & Finance regulates securities laws as well as supervises various financial industries in the state. Oregon Division of Finance and Corporate Securities The DFCS protects investors from securities fraud and licenses businesses engaging in investment securities. Commissioner of Financial Institutions of Puerto Rico The OCFI protects investors from securities fraud in Puerto Rico.